We are excited this month to launch The Life You Can Save's Charity Impact Calculator. The Impact Calculator allows prospective donors to get a concrete idea of what their giving will buy with each of our Recommended Charities. For instance, entering $100 as a potential amount shows that your donation could pay for 285 children dewormed with Evidence Action, five years of healthy life with PSI, eyesight restored to two blind people with Seva or Fred Hollows Foundation, $90 given directly to a family living in extreme poverty with GiveDirectly, etc. We hope the Charity Impact Calculator will prove to be an important new tool in the Effective Altruism toolbox for donors to judge how effectively their money is used. Please try it out, and let us know what you think. Charlie Bresler is Executive Director of The Life You Can Save, an organization founded by the philosopher Peter Singer and based on the basic tenet of Effective Altruism: leading an ethical life involves using a portion of personal assets and resources to effectively alleviate the effects of extreme poverty. Evidence Action and SCI team up for mass deworming in Ethiopia. Raising the World's IQ with IGN. IPA pivots to support Ebola efforts. Fred Hollows Foundation explains how blindness discriminates against women and girls. Fistula Foundation gifts that heal for Valentines Day. Be a Gates' Global Citizen. How Peter Singer inspired Cari Tuna's philanthropy. 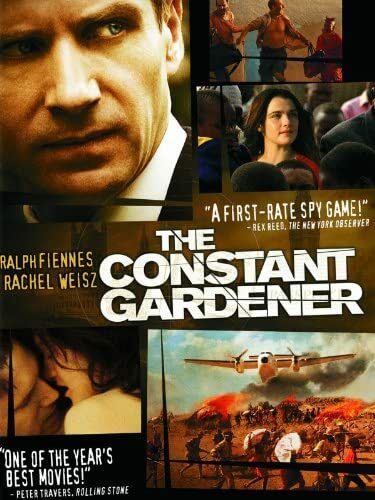 Lessons about giving from the film The Constant Gardener. Angelina Jolie and Oxfam fight the horrors of the Syrian refugee crisis. Pulin Modi has found Peter Singer's work simple, logical and inspiring. Strengthening support of NGOs; Resolve to fight genital mutilation; Commitment to social justice for all. Substance abuse, shopping, and giving? The upward spiral of inner gratitude and outward giving. It's only February! Three tips for keeping your giving resolution. Two of our Recommended Charities team up to treat one of the largest at-risk school-age populations in the world for parasitic worms. The Ethiopian Federal Ministry of Health is launching a groundbreaking national school-based deworming programme to treat at-risk school-age children for intestinal worms and schistosomiasis across the country. Ethiopia will target the treatment of at least 80% of children at risk for parasitic worms by 2020, in line with World Health Organization goals and the Ethiopian Master Plan for Neglected Tropical Diseases. Ethiopia has one of the highest burdens of neglected tropical diseases in the world, with over 10M children at risk for schistosomiasis and 18M children at risk for soil-transmitted helminths — types of intestinal parasitic worms. Helminth and schistosomiasis infections interfere with nutrient uptake in children; can lead to anemia, malnourishment and impaired mental and physical development; and pose a serious threat to children's health, education, and productivity. With the new national programme, the Ethiopian government will treat one of the largest at-risk school-age populations in the world. Ethiopia's ambitious national school-based deworming programme will leverage funding from a variety of sources including the Federal Ministry of Health, private donors, the END Fund, and the United Kingdom's Department for International Development. The Schistosomiasis Control Initiative and Evidence Action, two non-governmental organizations, are providing technical assistance to the national programme. The launch of the national deworming programme comes in the wake of a series of neglected tropical disease meetings in Addis including the 20th Session of the World Health Organization's Joint Action Forum and the Global Schistosomiasis Alliance and the STH Coalition convenings, with representatives from over 20 countries in attendance. Iodine Global Network (IGN), one of The Life You Can Save's new recommended charities this year, leads global efforts to eliminate brain damage caused by iodine deficiency. Iodine deficiency is a leading cause of preventable mental impairment worldwide. Severe deficiency reduces the intelligence quotient (IQ) in children by 10–15 points. Even mild iodine deficiency can reduce child IQ by 2–5 points. This leads to poor school performance, reduced educability, and a negative impact on a country's social and economic development. Fortification of salt with iodine is a safe, sustainable, scalable, and cost-effective way of improving the iodine status. In a new review by WHO, scientists agree that iodized salt greatly helps to reduce goiter, cretinism, and low cognitive function caused by a lack of iodine in the diet. But the review also warns that, as people reduce salt consumption to prevent heart disease, governments must be ready to adapt their salt iodization programs, so that people continue getting enough iodine. Our vision is a world where all people reach optimal iodine nutrition, which means that children can reach their full educational potential. Our goal is to eliminate iodine deficiency worldwide by 2020. Ambitious – yes, but entirely possible. Thanks to the efforts of the IGN and our partners to promote salt iodization programs, the number of countries classified as iodine deficient has decreased dramatically over the past decade. Latest data collected by the IGN shows that, in 2015, only 25 WHO countries and territories remain iodine deficient. Since first appearing in March 2014 in rural Guinea, the Ebola virus has infected at least 17,800 people in Liberia, Sierra Leone and Guinea and killed more than 6,300, according to figures from the Center for Disease Control from early December 2014. To ensure the safety of our team on the ground, IPA has suspended all non-Ebola studies and operations in the region. We are now pursuing new studies that simultaneously address the Ebola crisis, capitalize on our strong local presence, and ensure the safety of our staff. Our ability to swiftly develop these projects was made possible through our long-standing partnerships. "The priority right now is getting information into the hands of policymakers so they can effectively respond to the crisis," said Andrew Tedesco, the Country Director of IPA in Sierra Leone and Liberia. "We're working to generate data that guides the fight against Ebola and helps alleviate the shock on the economy." IPA-affiliated researchers have been working in Sierra Leone and Liberia for nearly 10 years, and IPA officially established offices in those countries in 2009 and 2010. During this time we have take on over 25 research projects in health, post-conflict recovery, agriculture, governance, education, and youth development. Working in Ebola-affected countries, our local staff have adapted their data collection methods to stay safe. They are now mostly collecting data by phone, for instance, rather than traveling to Ebola-affected areas. "I'm very proud that our staff have been so resilient and that we can be effective even in the face of a crisis," Tedesco said. Contact Tracing: In cooperation with the London School of Hygiene & Tropical Medicine, we will assess the impact and feasibility of using mobile phones to speed up the identification and isolation of suspected Ebola patients. In addition, we will explore whether Ebola patients share more information about their contacts once they have settled into a treatment facility, compared to when they first arrive at the facility. The lead researchers on this study are David Ross, Helen Weiss, Deborah Watson-Jones, and Catherine Houlihan. The Socio-economic Impacts of Ebola on Households in Sierra Leone: Even if the Ebola outbreak is contained, the economic impact of the disruption to the local economy is likely to be considerable. The virus may be limiting the movement of people and goods, slowing international trade and tourism, and/or disrupting the financial system. In partnership with Statistics Sierra Leone & the World Bank, we are conducting a phone-based household survey in Sierra Leone to collect information on the economic impact of the crisis, including employment, investment, and market and supply chains.The lead researchers on this study are Tavneet Suri, Rachel Glennerster, Kristen Himelein and Nina Rosas Raffo. Read a full description of this project. The Impact of Ebola on Market Prices in Sierra Leone: In partnership with the International Growth Center, we are gathering data from markets across Sierra Leone to see how the outbreak, and restrictions imposed on trade and travel, are affecting market prices. Researchers are measuring changes over time and comparing the information to similar data IPA gathered from the same markets in in 2011 and 2012. The information is being shared with the Ministry of Finance after the data is collected every month. The lead researchers on this study are Rachel Glennerster and Tavneet Suri. Read a full description of this project. Ebola's Impacts on Businesses: In this study, we will survey hundreds of businesses in all major sectors during the Ebola outbreak to understand how the crisis has affected business and economic activity, including employment, investment and market and supply chains. The lead researchers on this study are Katherine Casey, Rachel Glennerster and Tavneet Suri. People often say disease doesn't discriminate: cancer, Ebola, heart disease. But one – eye disease – certainly does. Almost two-thirds of the world's blind people are women; in every region of the world, women are more likely to be blind than men. Kids can make their mothers go blind – It's mostly toddlers who carry a bug known as active trachoma, which causes an infectious eye inflammation. Women are more likely to stay at home to care for the kids, so they are more than twice as likely as men to be repeatedly infected. Trachoma – the leading cause of infectious blindness in the world – can make the eyelashes curl inwards and scratch the cornea, causing excruciating pain and blindness if left untreated. Women are less able to get treatment – In many communities, men control the family finances and their medical needs are prioritised. It can also be harder for women to travel because of family responsibilities, or for cultural reasons. Women and girls have to care for blind relatives - Preventable blindness doesn't just affect the person who has lost their sight. Girls often have to leave school to care for their adult relatives who have gone blind. When they miss out on an education, they earn less and are more likely to be stuck in poverty as adults themselves – and their children, too. The discrimination starts early – The gap between rates of blindness in girls compared to boys is even higher than the gap between women and men. Most of these girls are in developing countries where it's already harder for them to escape the cycle of poverty. If they're also blind, it's almost impossible for them to learn and earn a living when they're older. Blindness heightens the risk of dying – An estimated half of all children who become blind will die within two years. Those who live are only expected to reach 40 years of age. More girls and women are blind, which means more of them are at risk of dying from blindness. The Fred Hollows Foundation is committed to eliminating avoidable blindness globally. To achieve this goal, we ensure that our blindness prevention programs target particularly vulnerable and disadvantaged groups. Unfortunately, as you can see from the above, women need to be a particular focus of our efforts. "The Better Angels" is a new Huffington Post piece by our CEO Kate Grant. It's about Pauline Cafferkey, a Scottish nurse recovering from Ebola who used to be a volunteer fistula nurse at our partner site, HOPE Hospital in Bangladesh. Gifts That Heal: We have a few special gift items available for Valentine's Day, including tote bags made by recovering fistula patients at our partner site in Kenya, Gynocare, and a Valentine's Day tribute card. The Against Malaria Foundation (AMF) has a strong reputation for accountability, both in reporting to donors and managing net distribution programs. They do the former by linking each individual donation to a specific net distribution so donors can follow exactly where the nets they fund are distributed. They achieve the latter by collecting specific data before, during and after a distribution and they make that data public. Rob Mather, Founder and CEO or AMF, describes why distribution data collection is so important. Household level net need data gathered pre-distribution, via a comprehensive, distribution zone-wide Pre-Distribution Registration Survey (PDRS), gives accurate net need requirement per distribution point. Knowing exactly how many nets to move to each specific distribution point makes theft through the various stages of the supply chain much more difficult (and near-on impossible with the correct monitoring) and knowing exactly how many nets go to each beneficiary (household) makes theft very difficult at the distribution point level. Theft is an important issue. Regular (typically 6-monthly) post-distribution check-ups (of net use and condition) of nets in a material number of randomly-selected households (typically 5% of those households receiving nets), on an unannounced basis a) requires PDRS data to be gathered as that underpins the PDCU work so acts to achieve the theft related goals and b) seems to lead to higher levels of net hang up and use ('behaviour change') with this attributed to communities being aware there will be unannounced intervention to see if people are using the nets properly with householders being aware there is a reasonable chance their household may receive a visit. District Health Officers (DHOs) and Malaria Coordinators (MCs) are able to understand the level of net use and net condition to help with decision making, potentially very valuable when resources are scarce. For example, looking at the data for all 37 health centre catchment areas (HCCAs) in Ntcheu District, Malawi (and click on '24-month PDCU - Underlying data') the DHO/MC is able to consider prioritising malaria education interventions, for example to achieve hang-up of 'present but not-hung' nets, in those nine HCCAs where the hang up levels – although high – are not at the very high level achieved in others areas. The costs of comprehensive (pre-distribution) and regular sampling (post-distribution) data collection are modest and in our view clearly deliver value. Moreover, they can underpin the reduction of theft to immaterial levels, the single greatest factor that would otherwise compromise the impact a net distribution programme can have. As well as gathering this data, we publish it, often as it is being entered, as both the accountability of our programmes and being transparent with donors are guiding principles for the way AMF operates. I would particularly draw your attention to the call made in the 'Conclusion' of the Gates Annual Letter 2015 (http://bit.ly/1wpBqWb) to Global Citizens that I think will interest all Effective Altruists. When they were still in their twenties, Silicon Valley billionaires Cari Tuna and Dustin Moskovitz knew that they wanted to share their wealth—and to share it effectively. In her first major press interview with the Washington Post, Tuna talks about how Peter Singer's book The Life You Can Save served as a catalyst for her own journey to effective philanthropy. I re-watched the movie "The Constant Gardner" the other day and was once again extremely moved. What really got to me the first time I watched it, and again this time, is the notion that although we can't save everyone, we can save actual people right now! This inspired me over the years to consider getting involved in an effort that would be saving lives. Now I am :)! 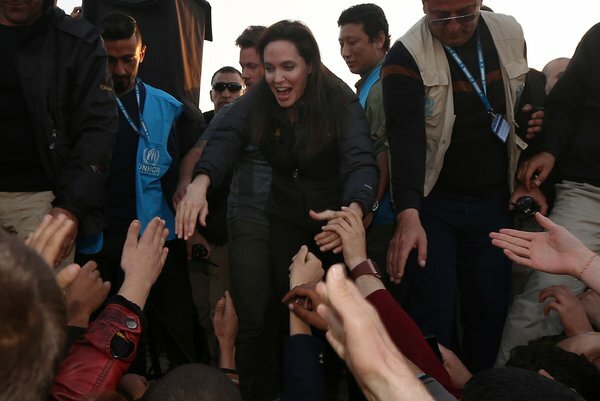 The horrors of the Syrian Refugee Crisis shouldn't require celebrities to stay foremost in the news and to attract support, but I give credit to those like Angelina Jolie, who put "boots on the ground" and leverage their visibility to make an impact. I've been involved with various causes for years, including student groups for human rights and the environment, adopting a vegan diet over 15 years ago, and donating money to good causes. I've dedicated my academic and professional life to promoting social change, too. Peter Singer's work is an inspiration because it's so simple and logical. I don't consider myself a philosopher, but I can relate to the way books like Animal Liberation and The Life You Can Save talk about our personal, moral obligation to help others. Dr. Singer's TED talk has well over 1 million views. Anytime we ask others to do something new, it takes time to gain acceptance. But I'm confident that Peter Singer's work will inspire people to further commit to effectively help others, reduce suffering, and save lives. Pulin lives in Washington DC with his wife and two cats, and works at change.org as a Senior Campaigner. An estimated 125 million girls and women alive today have been cut in 29 countries in Africa and the Middle East; at this rate, another 86 million (mostly minors) will experience some form of this by 2030. Besides being a human rights violation, FGM/C has multiple health risks. Yet evidence suggests that FGM/C can end in one generation. The UN General Assembly Resolution exhorts us to "use the day to enhance awareness– raising campaigns and to take concrete actions against female genital mutilations". The U.N. hopes this day will support efforts of the international community to eradicate poverty, promote full employment and decent work conditions, and bring gender equity and access to social well-being and justice for all. The World NGO Day is a symbol of bringing together the world's Non-Governmental Organizations to build a stronger future for all citizens of our planet by raising awareness of the many organisations working for good around the globe. "Collaborate, Commemorate, Celebrate."